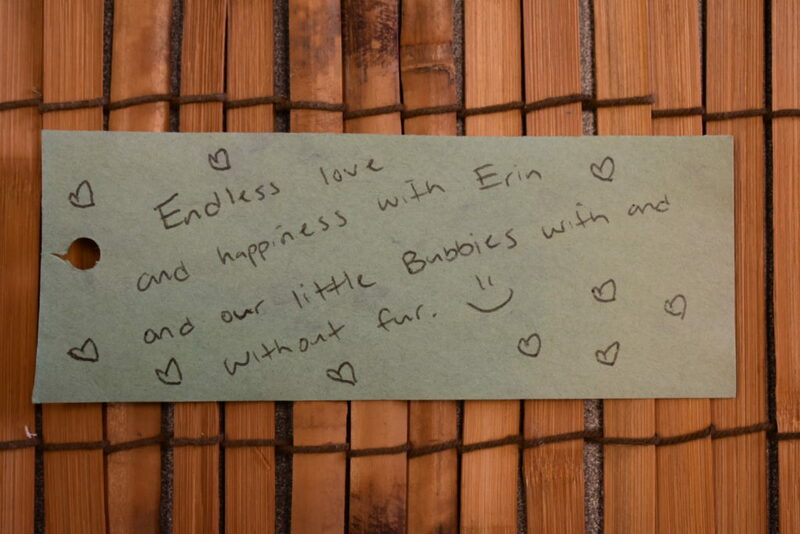 Tanabata, Japan’s summer star festival, is one of five annual festivals that’s celebrated across the country, as well as by people in the Japanese diaspora. 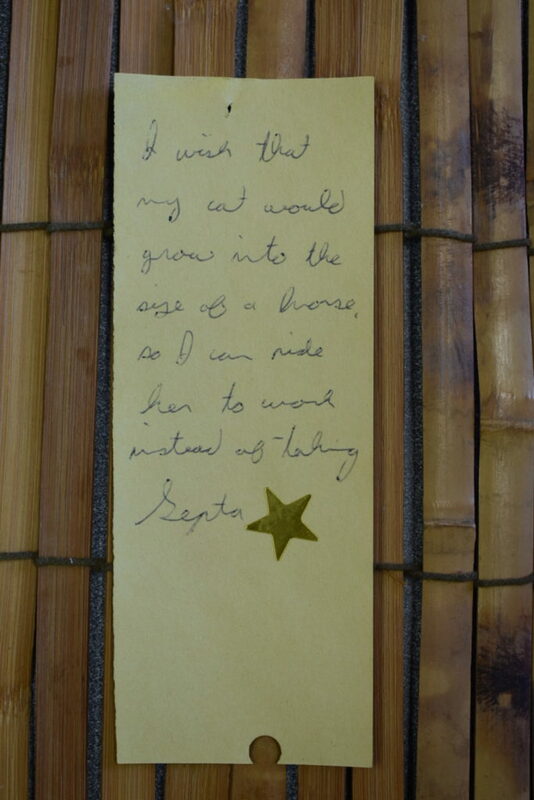 Celebrated on the seventh day of the seventh month, Tanabata commemorates the folktale of Orihime, the weaver princess, and her soulmate Hikoboshi, the cowherd, as represented by the stars Altair and Vega. 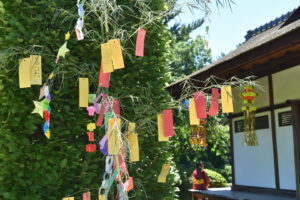 Seven lucky decorations are associated with Tanabata, from origami symbolizing luck, safety, and peace to hanging streamers that represent the fabric woven by Orihime. 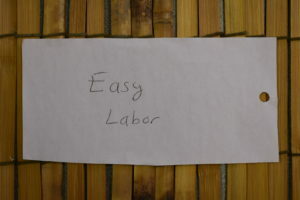 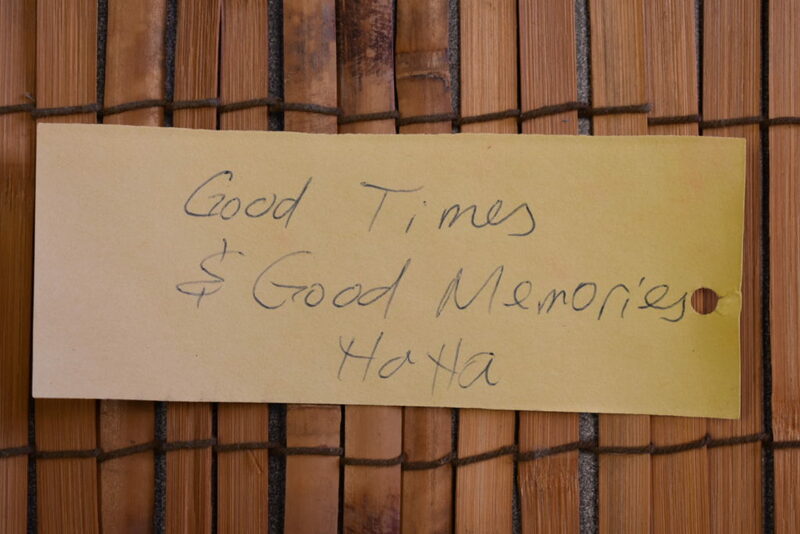 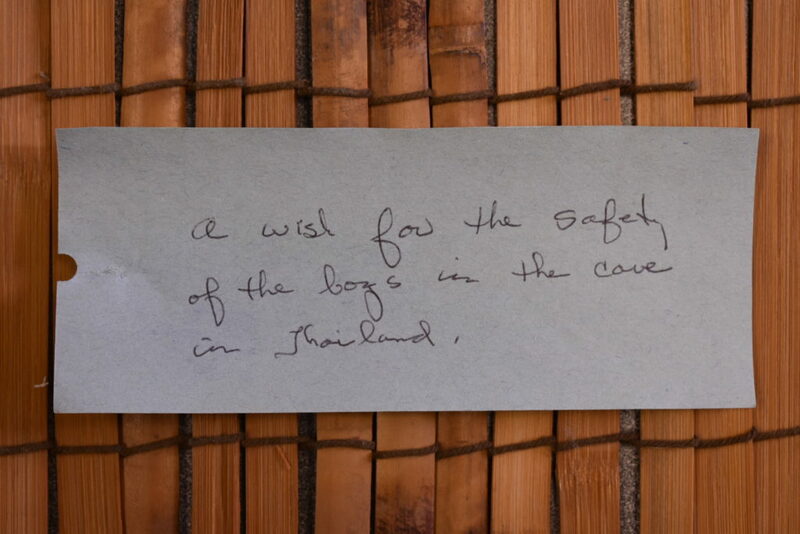 The best-known decoration from Tanabata are tanzaku, slips of paper with wishes, dreams, and special requests written on them, then hung from bamboo branches. 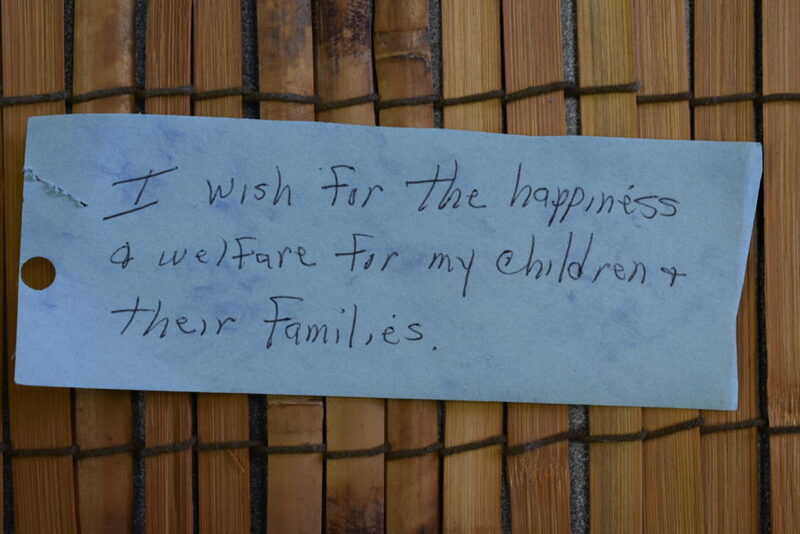 At Shofuso, Tanabata celebrations have featured tanzaku slips since the first festival celebrations. 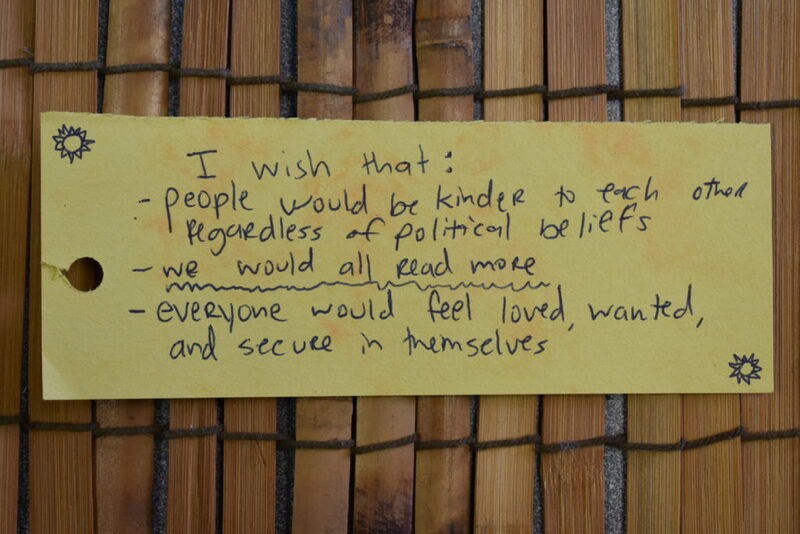 This year, we counted up all the wishes received to find themes within the wishes written out. 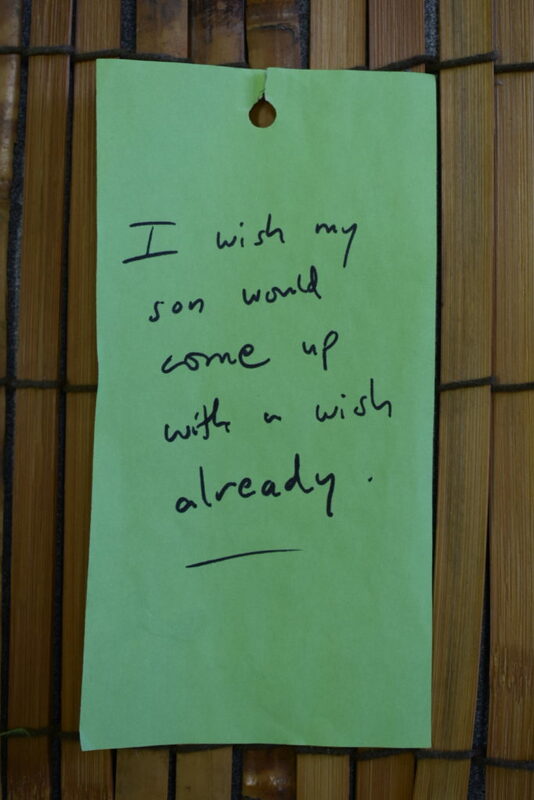 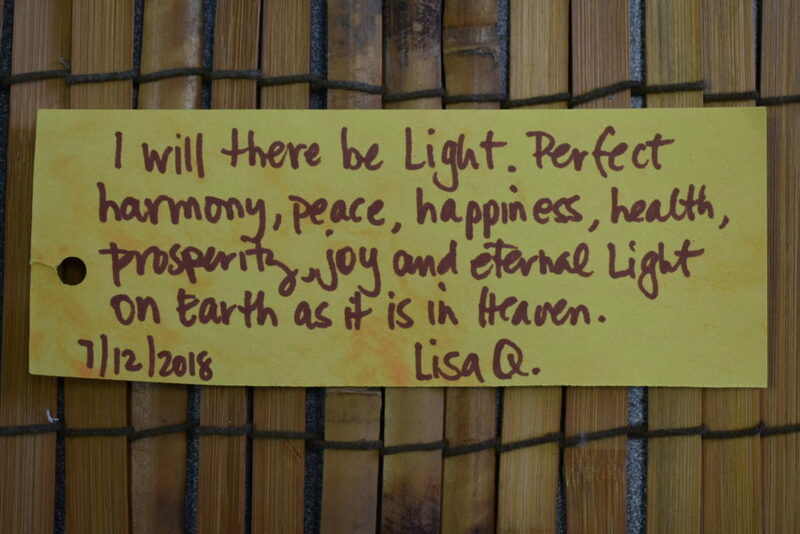 700 people submitted wishes during our Tanabata celebration weekend – quite the auspicious number! 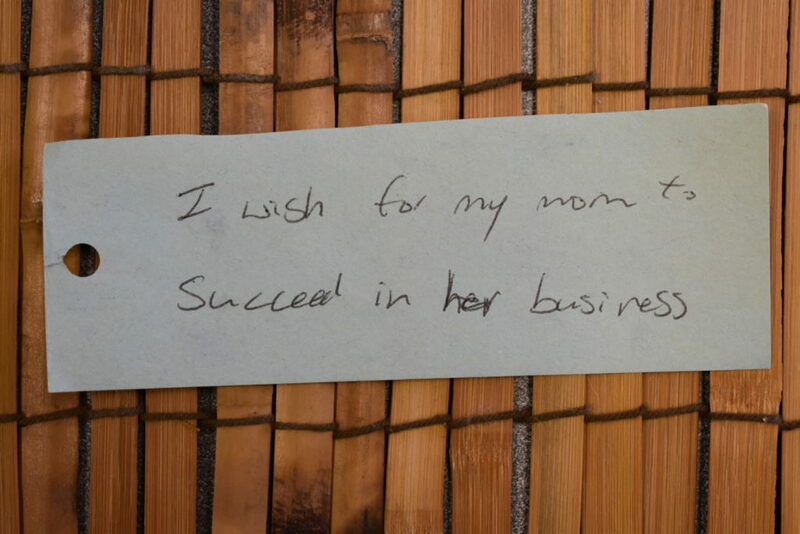 Other popular wishes included wishes for healthy and safe childbirth, academic success, and wishes of luck for other people. 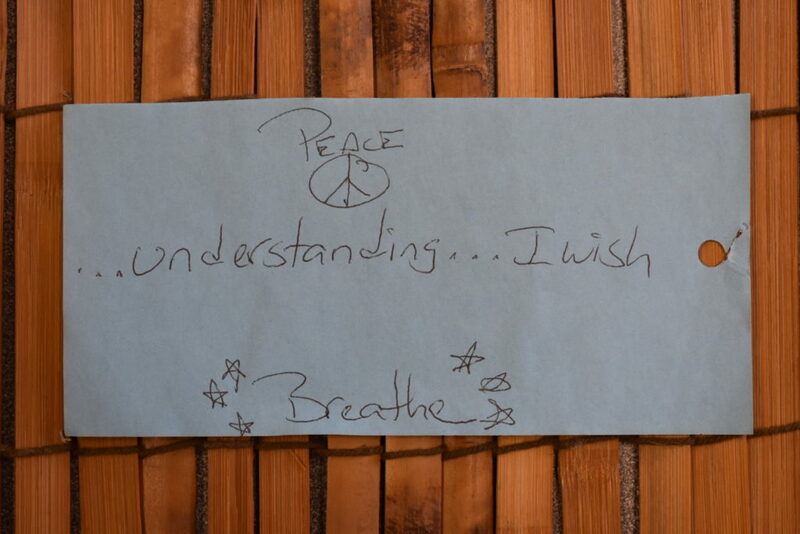 Other wishes referenced wishes for events: “I wish that my cat would grow into the size of a horse so I can ride her to work instead of taking Septa,” wrote one wish-writer. 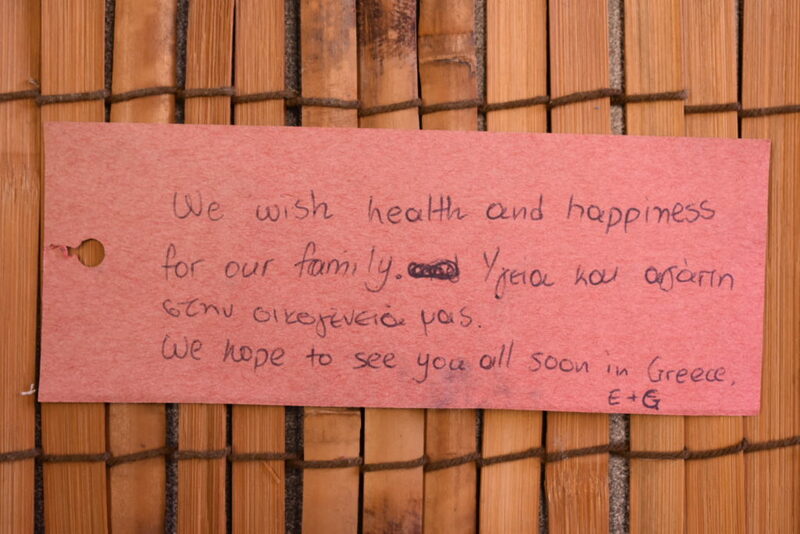 On behalf of all of us, we hope your Tanabata wishes will come true! 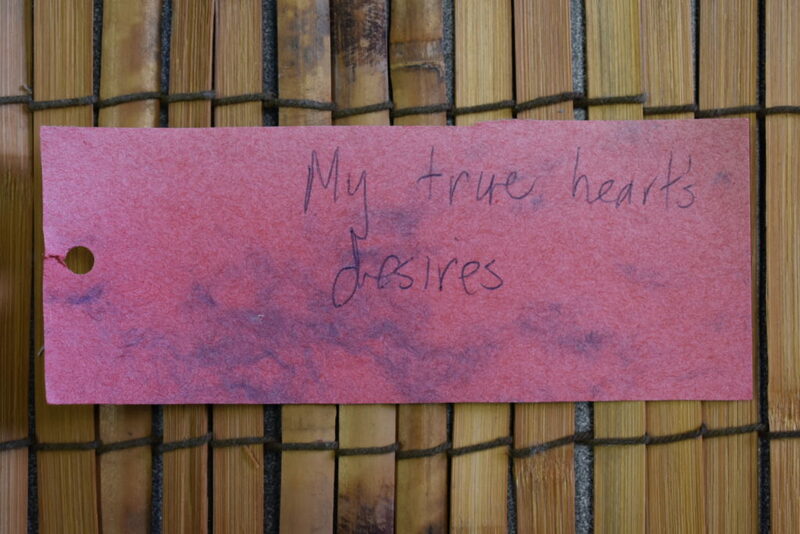 Come to Shofuso on Saturday, August 18 as we celebrate the Philadelphia Obon Festival with dance, live music, tea ceremony demonstrations, arts and crafts, and a flea market.